Place the LSA, oats, almond milk, almond and maple syrup in a large bowl and stir well to combine. Cover with plastic wrap and refrigerate for 6 hours or overnight. Add extra almond milk to loosen the mixture. Divide between bowls. 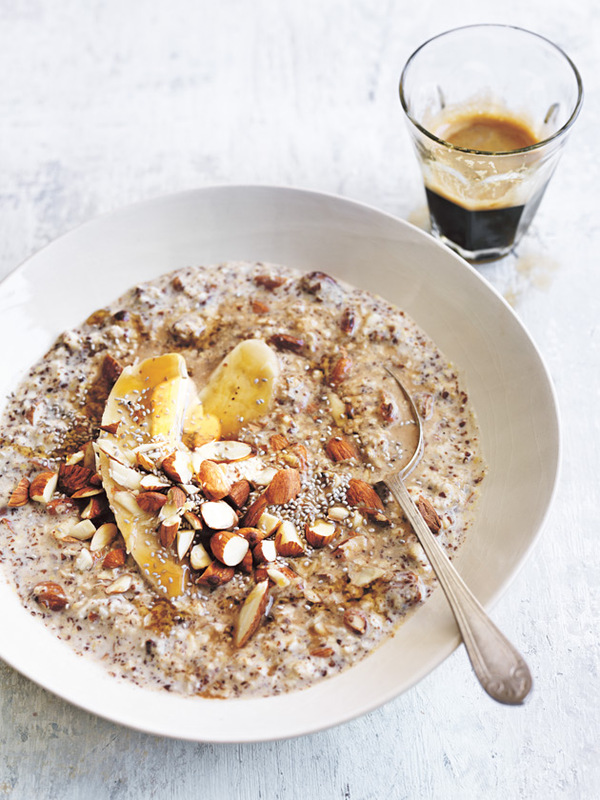 Top with the extra almond, extra maple syrup, coffee, banana and chia seeds to serve. Serves 4.